Using a slim-bezel design, the 1920 x 1080 high definition 14" display coupled with the slim and compact body design gives you a wider view of a whole new world. 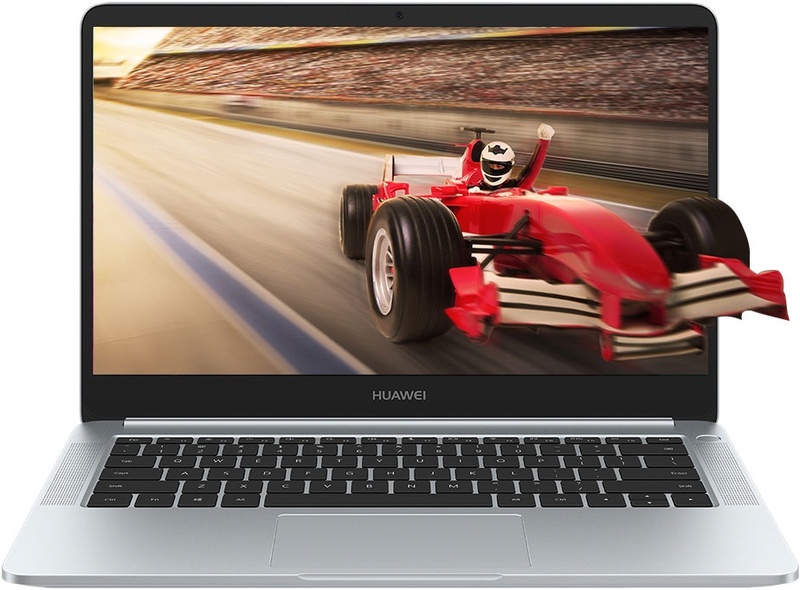 The HUAWEI MateBook D 14" features iconic metal surfaces, adding that extra touch of sophistication, while the 1.47 Kg weight and 15.8 mm thickness keep you mobile at work and play. Start up and get going with a one-touch power button. 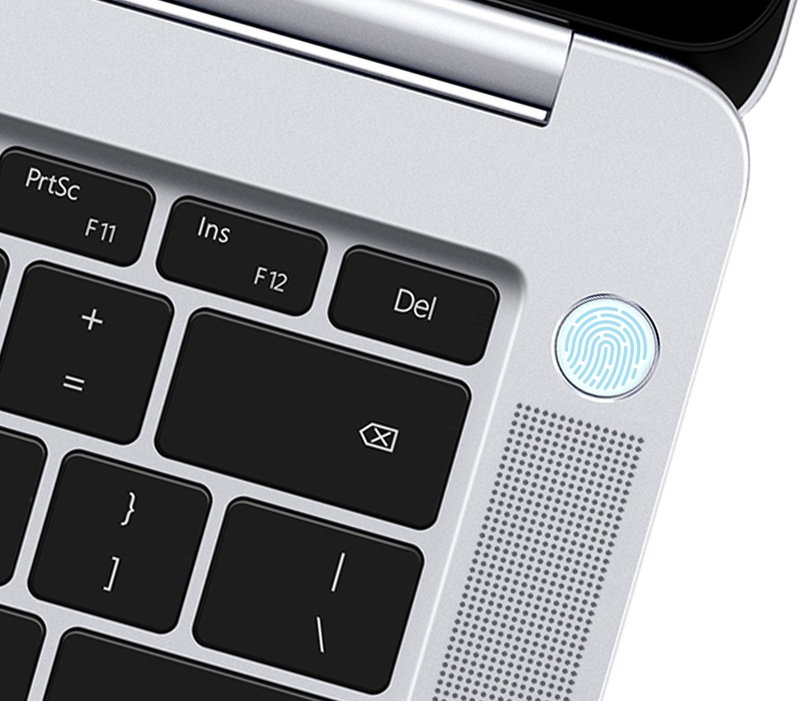 With the integrated fingerprint recognition power button, your world is just a touch away. The fully-charged 57.4 WH battery powers your digital life for up to 12 hours, aided by the HUAWEI smart power-saving mode increasing power usage efficiency by 15%. *Typical capacity. Actual capacity may vary slightly. **Data is obtained by HUAWEI labouratories using 1080p video in continuous playback testing at the following conditions: 150 nits brightness, auto-dimming off, system audio level at 67%, Windows Update off, OneDrive off, pre-installed applications removed. ***The 15% improvement measure is benchmarked against battery performance without the use of smart power management features. Actual battery life will vary depending on configuration, environment and actual usage. Maximum capacity will naturally decrease with time and usage. 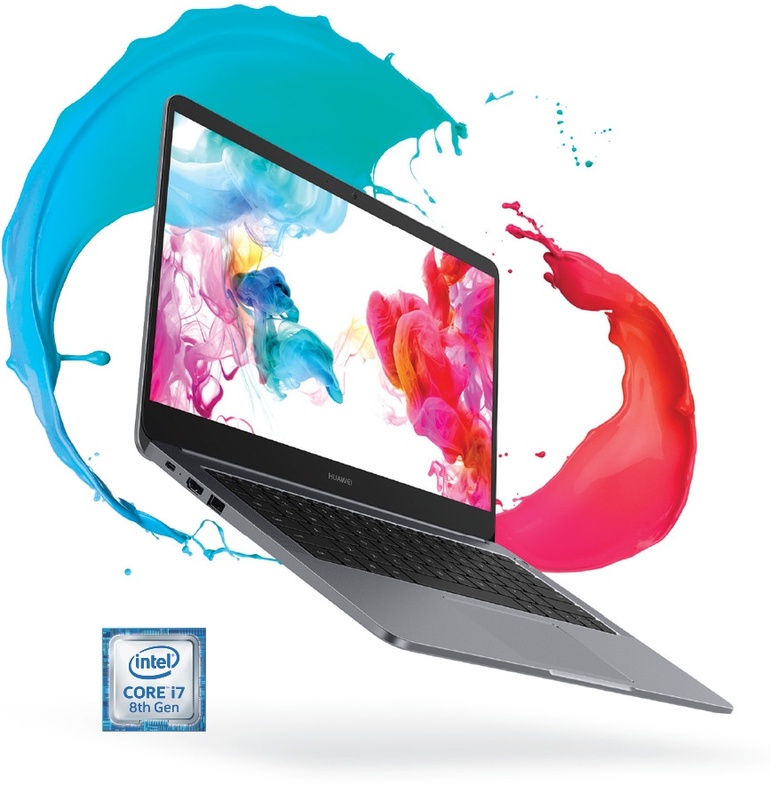 The 8th Generation Intel® Processor is an intelligent force of nature, delivering unprecedented performance*. Deliver a fluid and responsive performance, unleashing your creativity and productivity without getting in the way. *Performance indicators based on Intel performance benchmarks. The NVIDIA® GeForce® MX150 discrete graphics card delivers up to 4 times the performance of integrated graphics*, creating stunning visual experiences for work and for play. *Based on official performance testing benchmarks of NVIDIA components. Quad speaker split-frequency offers woofers with deep, resonant bass and tweeters with clear treble for a crisp, immersive sound experience. Hear in 3D with the Dolby Atmos® Sound System that makes sure distortions are minimised, letting you hear every detail from all angles.